I’m thrilled to announce the first ever Cashmerette Curvy Sewing Retreat, on 28 – 30 April 2017! 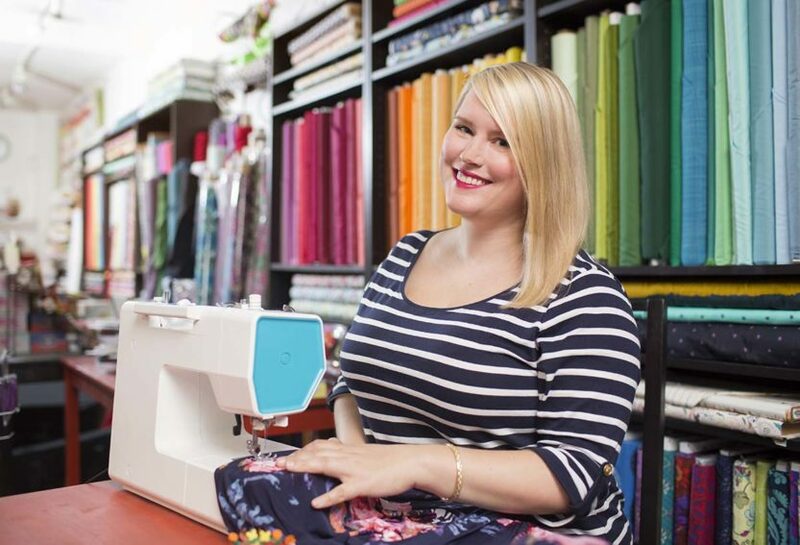 Join me and a small group of curvy sewists for an incredibly fun and uplifting sewing weekend in Cambridge, Massachusetts. The focus of the weekend will be on fitting sewing patterns to your figure – making sewing patterns look amazing on curves is my specialty! Pick any Cashmerette Pattern to make – you’ll get a free pattern included in the retreat price – and I’ll help you make your garment with construction tips and fitting advice. In my experience, being surrounded by other curvy sewists is absolutely wonderful for the soul, and I have no doubt this retreat will be the same. For the next 3 days you can sign up for the early bird special price of $595 (regular price $695), which includes two full days of the workshop, a Cashmerette Pattern, a cocktail reception, two lunches, one dinner, one breakfast, a gift bag, and and some special surprises over the weekend. There are a very limited number of places available, so reserve your spot now! 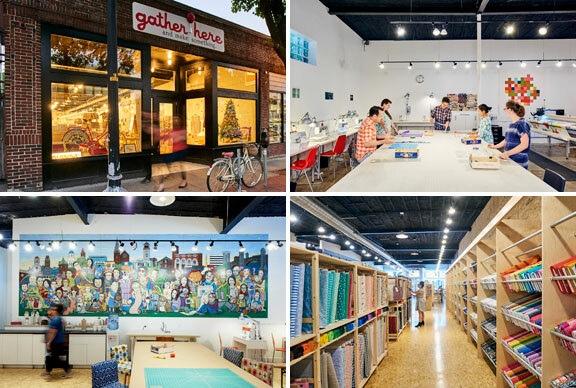 We’ll be hosted by the awesome fabric and sewing store Gather Here, located in the artistic and quirky neighborhood of Inman Square, Cambridge. Inman Square is home to many fantastic cafes, restaurants, boutiques and ice cream shops so there’s plenty to see if you want a break! Gather Here is a pillar of the greater Boston sewing community, and it has a huge and well equipped studio space that we’ll have all to ourselves. The use of Bernina sewing machines for each participant, as well as several sergers. Want to bring your own sewing machine? That’s also fine, just let us know in advance. All sewing tools provided – just bring thread, fabric, tracing paper, your pattern, and any personal sewing tools you love. Break-out areas including comfy sofas when you need to take a break and great place for us to have lunch together. The opportunity to shop Gather Here’s amazing selection of fabric (and yarn! ), with a special gift included for attendees. The workshop part of the retreat will run from 10am – 6pm on Saturday and Sunday, with a one hour break for lunch each day (more on that below!). 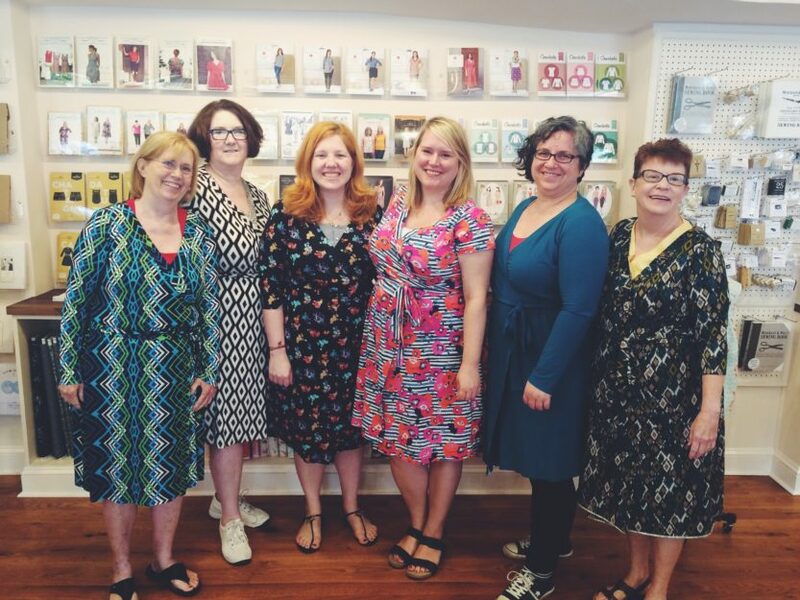 In between providing one-on-one advice, I’ll be doing demonstrations of fitting techniques – and I’m also happy to take requests for demos for any fitting aspect on Cashmerette Patterns. We’ll also have my assistant Carrie McGowan on hand the whole weekend, and she’ll provide construction advice as well as help with any requests you have on the day. Welcome cocktail reception on Friday night at Mercer’s Fabric in the historic Beacon Hill area of Boston (about 20 minutes from Inman Square). Sip on a cocktail, pick up some amazing fabrics with a discount, and meet your fellow attendees. Catered lunch every day from our favorite café near Cashmerette HQ. Three-course group dinner on Saturday night at an award-winning local restaurant (which caters to all food preferences). See behind the scenes: coffee & donuts breakfast on Sunday morning at the Cashmerette Studio (a 10 minute walk from our workspace at Gather Here). Students at a previous Cashmerette workshop in their gorgeous Appleton Dresses! All the social activities are optional, but we encourage you to join the group! Whether you live locally, want to stay at a B&B, AirBnB, or a ritzy hotel, we’ve got you covered. We can recommend local places to stay near Inman Square, in downtown Boston, or famous Harvard Square (yes, you can totally park your car in Harvard Yard ;D). Once you sign up, we’ll send you a list, and can help you with questions you may have. Traveling to attend? Our retreat location is just 20 minutes drive from Boston Logan International Airport and the Boston Back Bay Amtrak station. Is the retreat suitable for me? 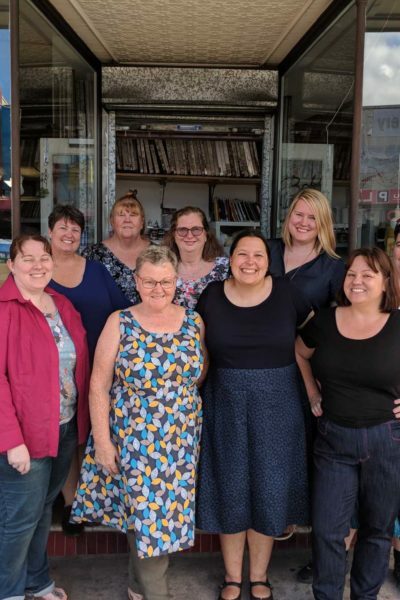 The Cashmerette Curvy Sewing Retreat is aimed at curvy sewists who are beginner, advanced beginner or intermediate level. You should already know how to use a sewing machine, sew a straight line and use a zig zag stitch. Only made cushions or bags but no garments before? Never sewn with knits? Trying a new type of garment for the first time? That’s fine! You should fit into the sizing range of Cashmerette Patterns: size 12 – 28, cup sizes C – H (see the sizing chart here). If you’re between sizes, that’s no problem – I’ll show you how to merge between sizes. However, I won’t be able to grade the pattern up beyond a 28 or down below a 12 in this workshop. Not sure if it’s for you? Email us a hello@cashmerette.com and we can advise you personally. I’m in! Where can I get more details and sign up? Head over to our Cashmerette Curvy Sewing Retreat listing page, and you can get all the juicy details and reserve your place. Do you have any other questions about the retreat? I’m looking forward to meeting some of you soon! 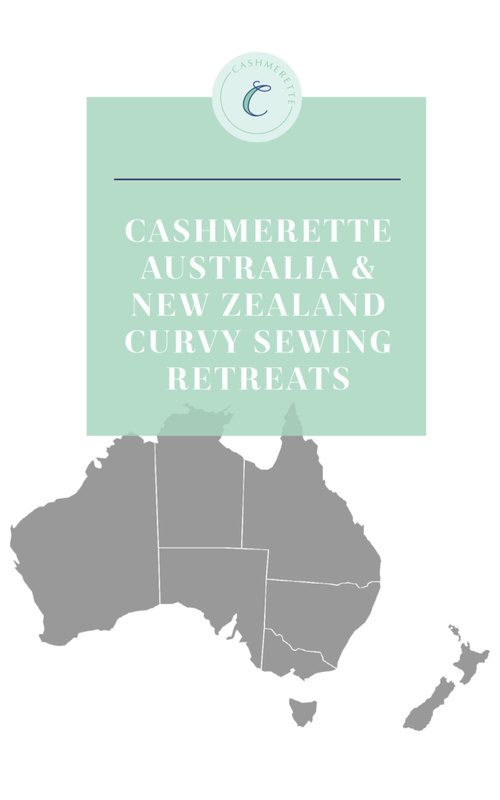 Launching the Australia & New Zealand Curvy Sewing Retreats! Missed out the first time? Second Sydney Cashmerette Retreat added! If this goes as well as I expect it to, maybe Portland, Oregon sometime? If that goes well how about a trip to Australia? I don’t think I can convince my partner to go to Boston for a weekend, no matter how fun for me it sounds, and I’m a wimp – don’t want to fly that far without him. If you manage to get to Australia – anywhere in Australia (I’m in little old Adelaide) – I would definitely be front and centre! I love your plans for the retreat, but the dates don’t work for me this time. I hope you plan to do this again in the future! I just signed up and look forward to attending. What a great opportunity that I’m sorry to miss! Thank you for setting this up! I am hoping you do this again! I already had an event scheduled during this time.